A 10 parts framework written by Carmine Gallo for Business Week. Black turtle neck and NB sneakers are optional. First read on Damien Mulley's fluffy links. 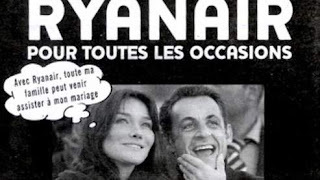 Carla: "With Ryanair, all my family can come to my wedding"
Seen in Le Figaro, en francais.